For most of us, glory comes in small packages. So it was with immense pleasure that I journeyed to the Crystal Bridges Museum of American Art to deliver a talk entitled America’s Medicis: The Rockefellers and Their Astonishing Cultural Legacy. Alice Walton, whose father Sam created Walmart in tiny Bentonville, Arkansas, founded the museum in her hometown. Alice Walton became fascinated by art as a teen, and the idea of founding a museum must have been germinating in her mind for decades. Crystal Bridges opened its doors on 11/11/11. For a new institution it is very polished, so much so that it seems as if it emerged from the head of its foundation as the Greek goddess Athena sprang from the head of Zeus, her father. The museum itself consists of a series of connected pavilions partially emerging from the dammed up waters of the Crystal Creek, which runs through the property. Natural light filters through intricately constructed roofs consisting of alternating strips of copper and glass. Small “meditation” rooms, from which visitors can glimpse the tastefully manicured landscape, enhance the experience. Given the appetite of collectors and institutions for any art that is not securely nailed down, the comprehensiveness of the Crystal Bridges collection is amazing. From time to time this visitor encountered old friends like Asher Durand’s Kindred Spirits, whose acquisition caused heartache and ruckus, but on the whole I discovered wonderful pictures by both familiar and unfamiliar artists. 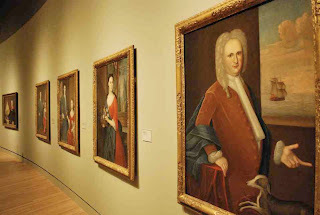 I was moved by the six portraits and double portraits of the Levy-Frank family by Gerardus Duyckinck I from around 1735, smiled at Norman Rockwell’s iconic Rosie the Riveter and was astounded by Winter Scene in Brooklyn, which was painted in 1820 by Francis Guy, and is located around the corner from where I live now. The collection is a tribute to Alice Walton’s very personal taste. Mine was the first lecture given in the museum’s stunning lecture hall. There were some minor glitches, but all parties involved—the audience, the staff, and the lecturer—were pleased with the outcome. From the moment I landed at the relatively new Northwest Arkansas Regional Airport I was surrounded by friendliness. Everyone I dealt with—at the hotel, restaurants, the museum, and even Walmart’s small visitor center, which harbors Sam Walton’s beloved red Ford truck and his wife’s wedding gown—was less stressed than their counterparts back home in New York. 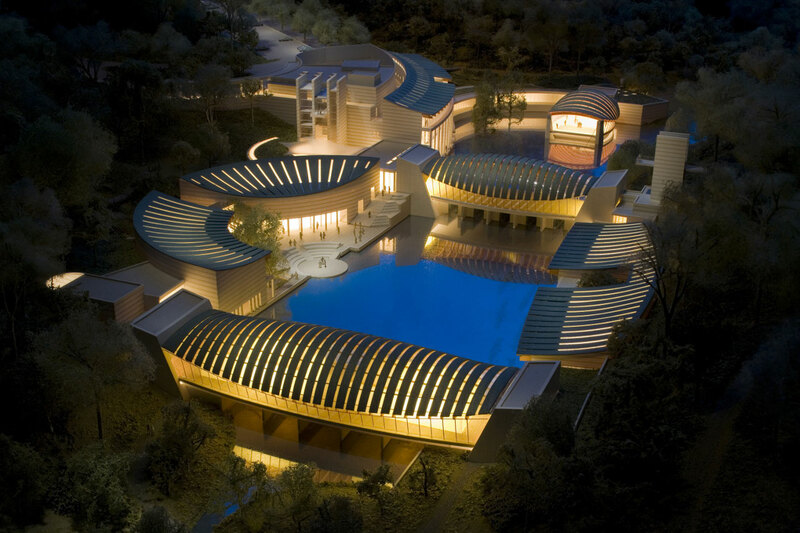 Ms. Walton hopes that Crystal Bridges will turn Bentonville into an art magnet a la Bilbao. The museum itself—so different from either Frank Gehry’s free-form sculpture in Spain or the more old-fashioned “Temple on the Hill”—is certainly dramatic enough. This entry was posted in Uncategorized and tagged alice walton, american art, arkansas, art, art museums, bentonville, crystal bridges, early american folk art, francis guy, moshe safdie, norman rockwell. Bookmark the permalink.